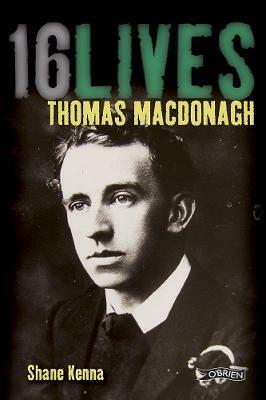 Born in Cloughjordan in Co. Tipperary, MacDonagh was a poet and playwright, an educator and political activist. Appointed to the IRB Military Council he became a member of the Provisional Government of the Irish Republic and was a signatory of the 1916 Easter proclamation. During the Rising MacDonagh was commandant of the 2nd Battalion of the Dublin Brigade of the Irish Volunteers and occupied the Jacobs Biscuit factory garrison. Following an inspiring speech at his Court Marshal he was executed on 3 May 1916 at Kilmainham Gaol, Dublin. In this meticulously researched biography Shane Kenna places this remarkable man within the great pantheon of Irish Republican heroes. He provides a riveting reconstruction of the life of a man whose death played such a key part in the shaping of modern Ireland.